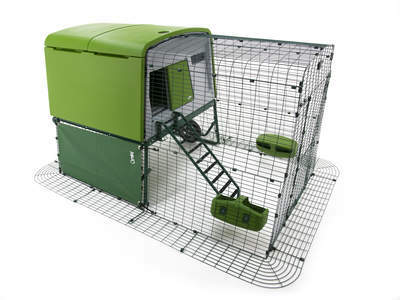 As chickens grow their nutritional needs change. 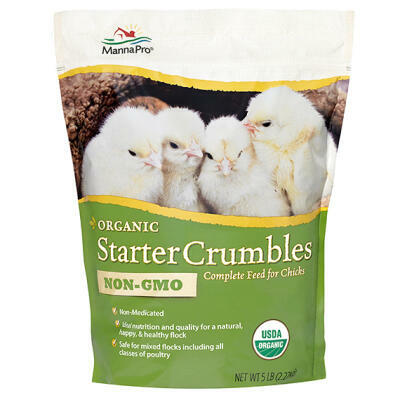 Manna Pro Organic Grower Crumbles is specifically formulated for when your chickens are too old to be a chick but are still too young to lay. With 17 percent crude protein, Manna Pro Organic Grower Crumbles supports healthy growth, muscle development and natural weight gain. It is free from pesticides, medications or genetically engineered ingredients. This feed should be offered continuously to growing chicks as the sole ration from 8 weeks of age until they are ready to transition to layer feed. Composition: Organic Corn, Organic Oats, Organic Wheat, Organic Wheat Middlings, Organic Soybean Meal, Organic Molasses, DL-Methionine, Calcium Carbonate, Salt, Monocalcium Phosphate, Dicalcium Phosphate, Ferrous Sulfate, Manganous Oxide, Zinc Oxide, Copper Sulfate, Iron Oxide, Ethylenediamine Dihydroiodide, Sodium Selenite, Folic Acid, Vitamin D3 Supplement, Vitamin A Supplement, Choline Chloride, Niacin Supplement, Vitamin E Supplement, Menadione Sodium Bisulfite Complex, Vitamin B12 Supplement, Calcium Pantothenate, Riboflavin Supplement, Biotin, Pyridoxine Hydrochloride, and Thiamine Mononitrate.